Move interstate Perth to Sydney or Sydney to Perth with Reliance Removals! Make your moving experience effortlessly easy with Reliance Removals. Whether you’re moving from Perth to Sydney or making the switch from Sydney to Perth, have peace of mind knowing that your furniture and belongings will be delivered on time, safely and securely, to your new home. Sydney is one of the world’s great cities. Set on it’s world famous harbour framed with Sydney Opera House and Habour Bridge, Sydney is much more than iconic postcard picture highlights. 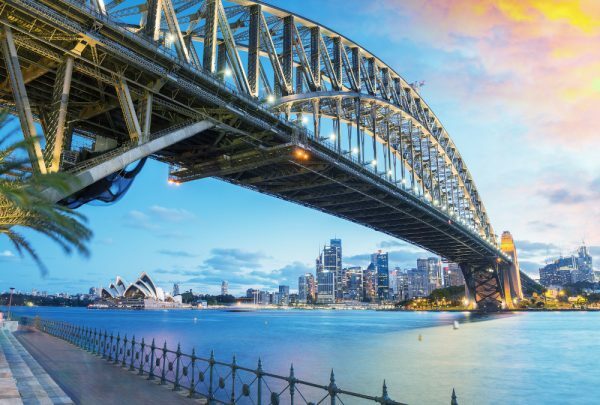 Sydney is dotted with vibrant locations that make living and working in the big city an incredible experience. Bondi Beach, Manly, Glebe, Newtown, Surrey Hills and much more awaits you following your move from Perth to Sydney. Moving from Sydney to Perth? We do that too! If you’re heading west across the Nullabor, the team a Reliance Removals has you covered. We regularly transverse this great country moving people to their next big adventure. At Reliance, interstate moves don’t need to be a stressful experience. Call us on 1300360233 and we will walk you through the process, step by step. Backed by years of experience, our highly skilled team have the expert knowledge and know-how to make your move as hassle-free as possible. We don’t stop at just moving your things. We offer a comprehensive range of services to make your journey seamless. From boxes and packaging to house cleaning, insurance and storage, find everything you need all in one place, at Reliance Removals. For expert advice or more information, get in touch with our friendly team today.